Last year in Tokyo the Sunwolves set ChiChiBu-no-Miya Stadium alight with their sublime 63-28 demolition of the lackluster Queensland Reds. In March, at the same stadium in Tokyo, in front of a boisterous crowd, a repeat was on the cards until the Reds scored to level at 31-all near the end and Hamish Stewart manged a penalty goal after full-time to get the Reds out of jail with their first win of the season 34-31. Two weeks ago they defeated the NSW Waratahs 31-29 in a Friday match at Newcastle Stadium. In March they had beaten the Waikato Chiefs in Hamilton, New Zealand, 30-15, for their first away win. Unfortunately, SANZAAR later decided, with the JFRU withdrawing their support, that the team will be cut from Super Rugby after the completion of the 2020 media contract. With the Top League overlapping the Super Rugby season next year, the Sunwolves won’t be as strong as they are displaying this year; more reason to attend. Find the event at Brisbanerugby.com on Facebook and show your interest by giving me an indication of how many tickets you would like at the reduced price of $25. Payment can be made up until the day before the event through a special HSBC Australia account BSB: 344-032. Account Number: 032-19859-412. Back in 2016, a major revolution was afoot with the expansion of Super Rugby to 18 teams across six countries, four unions, both hemisphere’s and numerous time zones. The convoluted system incorporating four conferences was too hard to comprehend and player fatigue due to frequent flyer mileage was a factor that was difficult to manage. Micromanagement saw the teams culled to 15, but this is also seen as too cumbersome and a new 14 or 15-team competition will begin after the current broadcast deal expires next year; starting in 2021. I remember in 2009 on the Gold Coast talking with then Japanese coach and All Black legend, John Kirwan. I brought up the idea of having a Japanese based Super Rugby franchise, to which Jk said, “No-way, impossible, the company teams in Japan are way too powerful“. In Australia, we could see the merit of a Japanese team with the time-slot 1 hour behind Eastern Standard Time wedged between the Western Force matches in Perth. “No-way, impossible, the company teams in Japan are way too powerful“. There’s a lot of issues to be sorted out, with finances being a major concern, along with the disruption to the Top League season in Japan. Moving forward, it’s time to have a good chat with Andrew Forrest about becoming a part of Global Rapid Rugby. For those heading to the Rugby World Cup this year in Japan your journey starts this Saturday on the Gold Coast. The Japan Community of Queensland Inc. cordially invite you to immerse yourself into Japanese food, culture and the people at Albert Waterways Community Centre in Broadbeach from 10am to 5pm. Proudly supported by the Japanese Consulate in Brisbane and Brisbanerugby, this is your first step of the incredible journey for the World Cup to be hosted outside of a ‘traditional‘ rugby nation. Some of the 20 nations competing at RWC2019 in Japan from September 20th. The catch cry for this year’s World Cup is, “Not every 4 years. Once in a lifetime.” Basically meaning that this will be the ONLY time in your lifetime to experience such an event in Asia. CJ with the Web Ellis trophy at the Landmark Plaza in Yokohama last year. Japan has a proud history of rugby dating back to 1889, when Edward Bramwell Clarke, an instructor in English language and literature at Keio University at the time, began teaching rugby together with fellow Cambridge alumnus Ginnosuke Tanaka. Enthusiasm for rugby grew in Japan, led mainly by the university and high school students. University rugby became increasingly popular because of the top teams from Waseda, Keio, Meiji and Doshisha Universities, peaking between the 1980s and early 1990s. From 2016 the Tokyo based Sunwolves entered the Super Rugby competition and played a very competitive match against the Queensland Reds last weekend in Tokyo, narrowly losing 34-31 in the final play. Some Queensland Reds and Super W players will be on hand around 2pm for autographs and some rugby fun. We are very privileged to have a Japanese player from the Women’s Reds Team, Asako-chan, as well to demonstrate the pathways open to those that persevere, “Fight-o” in Japanese. 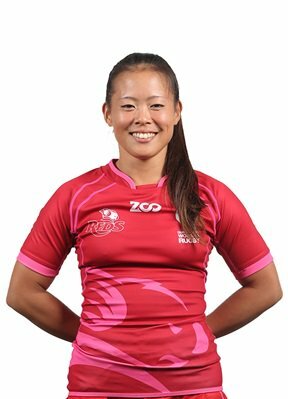 Asako-chan will be arriving straight after training at Ballymore to be on hand to tell us her story. Last Friday, May 4th, 2018, an ambitious and bold move by Andrew “Twiggy” Forrest to breath life back into the Western Force rugby union side that was last year unceremoniously axed from Super Rugby. Amongst the fireworks, skydivers and an aboriginal performance, Nib Stadium, packed with 19,466 diehard locals, once again witnessed high-quality provincial rugby in Perth. The largest crowd in Australia for provincial rugby for quite some time witnessed Western Force 2.0 defeat a fast-paced Fiji Warriors outfit 24-14 in the first of seven “exhibition” matches in the genesis of World Series Rugby. Just like the Star Wars prequels, re-envigorating rugby union in this country is something the Force may be with you. Rugby Australia and World Rugby have initially given Forrest the green light with his vision and will be waiting with baited breath to see if this venture can bring life back to a code losing relevance in the plethora of winter sports in this country biting off ever bigger chunks of the finite pie of attracting an ever decerning public. The fact that Twiggy Forrest’s name was plastered all over the event with constant references to him over the stadium’s public address system certainly did not warrant a torrent of social media protests after the event. If it was not for Forrest, top class provincial rugby would be anathema to the Western Australia public and the aspirations for young rugby players of a pathway to the Wallabies, in the West, would be cut off. That the Australian Rugby Union (ARU) under CEO Gary Flowers had the foresight to award the fourth Super Rugby franchise to Perth ahead of Melbourne in 2004 was visionary for building the game there. They cited “people power” as the deciding factor and that grew to the ‘Sea of Blue’ eclipsing the fan base of the other Australian Super Rugby franchises. I hope Raelene Castle is taking note of “people power” in the West for a code that has over 120 years of history with RugbyWA being founded in 1893. That masterstroke by the ARU to award Perth the fourth franchise in 2004 and in one stroke could taketh away in 2017 shows destain for what had been created over 12 years. If the blueprint by Forrest to harness that “people power” in the West and fund expansion of the game into the Asia-Pacific region can only be a healthy option for the code. To fund teams from Fiji, Samoa and Tonga is really appealing after the pillaging that has gone on for rugby talent from predominately New Zealand and Australia to other nations around the rugby globe. Not even Rupert Murdoch has been game to enter the Pasifika market an obviously rugby-mad region due to a lack of financial gain. To have a stronger rugby footprint in the economic powerhouse that is Asia leading up to next year’s World Cup in Japan (with matches played in Hong Kong and Singapore) is whetting interest by World Rugby. To be able to market the sport which was warmly embraced last week by Singapore in the recent HSBC World Sevens Series tournament there and obviously Hong Kong is a hotbed of rugby interest, especially the last weekend of March (now the first weekend in April), for over 30 years. And Japan has a very fervent schoolboy and university participation rate and company teams with open chequebooks. This is an exciting time for rugby union and Twiggy’s vision could go down as a watershed in the annals of a code desperate to maintain relevance in a saturated sporting landscape that is Australia. Rugby Australia should become more involved in what is happening in the West, especially if reports out of South Africa that they want to pull out of Super Rugby are true. New Zealand will support anything rugby in the region so I have no fear that we will lose our cross Tasman rivalry. It is only onwards and upwards and as they say in the West, “May the Western Force be with you”. The tsunami of response to revisiting the question of whether changes are needed to the red card system has been ignited by New Zealand referee Brendon Pickerill’s decision to send off Reds Captain, Scott Higginbotham, in their opening match against the Melbourne Rebels last Friday. Recent results have proven that an early red-card send off have resulted in obscuring the final result so much so that the offending team usually loses. This can be exemplified last year when the mighty All Blacks were dealt a fatal blow when Sonny Bill Williams was red-carded against the British & Irish Lions in their second test match denying them the win and consequently a record series white-wash. Wallabies prop, Sekope Kefu, was red-carded against Scotland in their end of season match which resulted in losing the test match 53-24. Also, in 2011, Welsh captain, Sam Warburton, was sent off early in their World Cup quarter-final match against the Wallabies and subsequently suffered defeat and being knocked out of the tournament (see more). Therefore, it can be demonstrated the devastating effect of a red card, especially early in a match. It can be argued, and heavily was debated by Reds fans, that the Higginbotham dismissal in the first 10 minutes of the Reds opening Super Rugby match had a devastating effect on the final result. Losing your leader so early in a match denies the team the attacking momentum and direction for such a young team and that was noticeable. However, to start questioning the referee’s decision is going against the fundamental principle of rugby, which has been ingrained in our heads since we first picked up the ball. As I have consistently reiterated throughout my rugby career that if there was no referee there is no game and they should be considered sacrosanct. Whether it was Paddy O’Brien, head of World Rugby’s referees, or another official, the decision to protect player welfare is paramount to the continuation of rugby union. An official line in the sand has been drawn and the decision to award a red card when a tackle to the head is enacted, regardless of how much force appears to have or have not occurred. Players should be taught how to tackle properly and that anything high should be obliterated from the game. The fact that a player of Quade Cooper’s pedigree, having played over sixty tests for the Wallabies, can consistently be sent off for high tackles is astonishing. How can a player come out of such a rugby nursery as Church of England Grammar School’s 1stXV and not be able to tackle is incredulous? Maybe Brad Thorn has a point in his axing. Player well-fare is the real question that has to be addressed and proper coaching from the grassroots up is the key. Take the emotion out the equation and have a real discussion about how we want OUR game to progress. It is still a contact sport, but we no longer send Christians to the lions, so a little bit of cool-headed clarity is needed. All 12 elite men’s squads and the four women’s teams that will contest the 2018 Brisbane Global Rugby Tens have been confirmed. Julian Savea, the second-highest All Blacks try scorer of all time, will spearhead the Hurricanes’ challenge, while young tyro George Bridge will lead a raw but talent-packed Crusaders side in the spectacular day-night tournament at Suncorp Stadium on Friday and Saturday. Bridge starred at the 2017 tournament as the Crusaders made it to the final without dropping a game, only to be defeated at the final hurdle by the inspired Chiefs. The Crusaders side also features Ethan Blackadder, the highly-rated son of former All Blacks captain and Crusaders legend Todd Blackadder. “It’s awesome to be heading to Brisbane once again for the Tens,” Crusaders coach Scott Robertson said. Drawn in Pool C, the Crusaders begin their campaign with a showdown against Savea’s Hurricanes, followed by a match against Will Genia’s Brumbies on Friday evening. They then meet Olympic Sevens champions Fiji in their final match of pool play on Saturday afternoon. The Hurricanes’ squad boasts former New Zealand Sevens star Ben Lam and exciting back Jonah Lowe who scored a hat-trick of tries in last week’s pre-season win over the Crusaders in Greymouth. Up front, young try-scoring prop Alex Fidow – one of Wellington’s Bash Brothers – will add plenty of grunt to the pack. The 2018 edition of the Brisbane Global Rugby Tens brings together some of the biggest names in the global game alongside some of the brightest stars of the future. A star-studded Pau line-up featuring seven former All Blacks (including Conrad Smith and Carl Hayman), former Wallabies captain Ben Mowen and former England flanker Steffon Armitage is one of the major drawcards of the 2018 event. The extensive line-up of internationally-capped players competing this weekend also includes Will Genia (Rebels), Berrick Barnes, Digby Ioane (Panasonic Wild Knights), Samu Kerevi, Taniela Tupou (Reds), Henry Speight, Andrew Walker (Brumbies), Julian Savea (Hurricanes), Liam Messam, Charlie Ngatai (Chiefs), Elliot Dixon, Luke Whitelock (Highlanders) and George Moala, Akira Ioane (Blues). The 2017 edition of the tournament featured the likes of breakout stars Jordie Barrett and Ngani Laumape, who both went on to play for the All Blacks against the British & Irish Lions. This year’s intake of thrilling prospects is led by the likes of Crusaders captain Bridge, Fidow and rising Blues star Caleb Clarke, the son of former All Blacks star Eroni Clarke. The 2018 wildcard class is headlined by the return to the Blues of ‘King’ Carlos Spencer, while Carl Hayman (Pau), Drew Mitchell (Waratahs), Andrew Walker (Brumbies), Adam Freier (Rebels) and Pita Alatini (Highlanders) will also make cameo appearances back in the professional ranks. The 2018 tournament also features an expanded four-team women’s competition, presented by Wallace Bishop. Teams from Queensland, New South Wales, the Brumbies and Rebels will play a full round of pool matches followed by a grand final. Joeli Veitayaki, Rautnaisa Navuma, Mosese Ducivaki, Viliame Rarasea, Filimoni Seru Camaitovu, Mosese Ducivaki, Peni Raidre, Albert Tuisue, Serupepeli Vularika, Jone Manu Taufaga, Aparosa Tabulawaki, Timoci Senaite, Ifereimi Tovilevu, Lepani Rayala, Inia Tawalo, Veremalua Vugakoto, Kalivate Tawake, Vesi Rarawa, Timoci Sauvoli, Levani Kurimudu, Frank Lomani, Enele Malele, Chris Kurandrani, Penasio Kunabuli, Fabiano Rogovakalali, Eroni Mawi. Once again, in the rejigged Brisbane Global Tens, the River City plays host to a star-studded line-up of Wallabies, All Blacks, Super Rugby champions past and present for two days of action-packed abridged rugby with 10-a-side players on the field. As last year’s inaugural event proved the record heatwave was sapping on the players and having lots of subs was essential. This year the organisers, Duco Events, have decided to tweak the program to play afternoon/evening matches on Friday and Saturday. Backing up from last weeks electric HSBC Sevens International event last weekend in Sydney where both Australian teams won their respective tourneys, Tens bridges the gap between fast-paced 7s and the more technical 15-a-side game. Five man scrums means grunt is needed with space out wide for electric backs to impress. However, seeing Brumbies prop, Ben Alexander, have a run with space at last year’s competition was a highlight. This year we have another mobile prop in Taniela Tupuo for the Queensland Reds, which will be great to see in action. “The Tens provides a good opportunity for the players to put into action what they’ve worked on throughout the pre-season. “We’ve got three pre-season fixtures this year, we felt it was important to give everyone an opportunity to showcase their skills. It’s a good reward for their hard work. As a precursor to the 2018 Super Rugby competition, both the Australian and New Zealand franchises will showcase their respective 2018 squads alongside the international sides of the Robbie Deans’ Panasonic Wild Knights from Japan, the All Black-studded powerhouse Pau from France and rugby entertainers Fiji rounding out the 12 teams. The 4 teams from Australia, 5 teams from New Zealand combined with the three overseas teams making three even Pools: A, B & C of four. Pool A: sees the Queensland Reds, Auckland Blues, Melbourne Rebels and Panasonic Wild Knights fight it out. In Pool B: last year’s champions the Chiefs play the Waratahs, Highlanders and Pau. Pool C: sees the Brumbies, Crusaders, Hurricanes and the newcomers, Fiji. This format will run in conjunction with a women’s competition from the four Australian franchises of Reds, Waratahs, Brumbies and Rebels. The Coaching merry go round that has now become synonymous with the Qld Reds has once again reared it’s ugly head with Nick Stiles the latest to fall victim to the position which could be referred to as a ‘poisoned chalice’. If what former Coach Mark McBain has hinted at recently is true, then player power is still alive and well, in fact, it’s never been better at Ballymore. 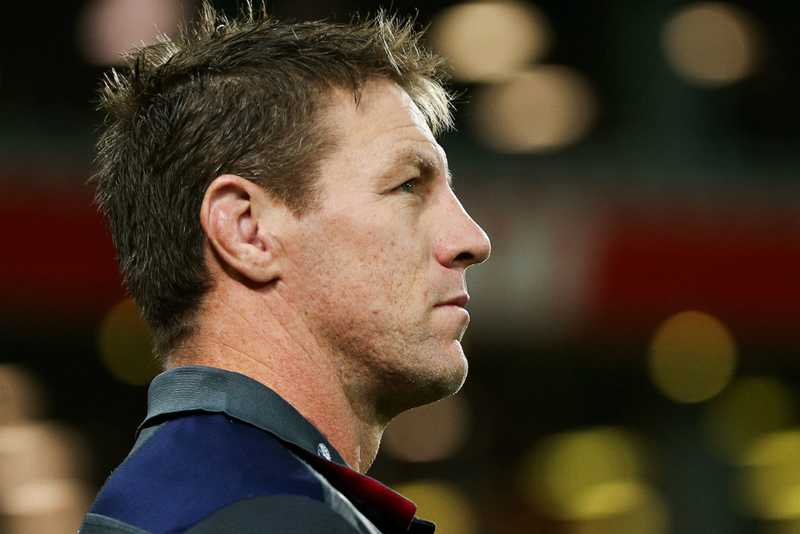 With Brad Thorn set to become the 10th Coach in the last 16 Seasons what does that tell you about loyalty and staying strong? Not a whole lot, I would have thought. Sure, Stile’s record in the 2017 season wasn’t great, in fact, it was the worst of any Qld Reds Coach so far with a 4-11 win/loss record. Also, they finished 14th overall in the Super 18 Competition, but as is the case a lot of the time the Head Coach is made the scapegoat while the players appear to get off Scott free with little or no accountability being taken. There will be those who are quick to point out that Coaching at the elite level in any sport is results driven and if you don’t perform you’ll fall on your sword and pay the price. Well that’s fine if all of the players buy in to that and give the coach their full and unwavering support. Did that happen at the Qld Reds this Season? For the Qld Rugby Union (QRU), who are supposedly cash strapped, to continue to sack coaches mid-term time after is beyond belief Now they’ll have to fork out another substantial amount of money with Stiles contracted to the Qld Reds until the end of the 2018 Season, unless they can shuffle him to another position within the QRU. In 2018, a rookie Head Coach at Super Rugby Level, Brad Thorn will be under the spotlight and he may very well succeed with his tough uncompromising nature and respect that he had as a player sure to rub off on his players in his new role with the Qld Reds. An outstanding and distinguished career in both Rugby Union and Rugby League, Thorn, achieved major success at the highest level. He enters the coaching fold with impeccable credentials as a player, but that doesn’t guarantee that he will be able to replicate that success as a Coach at the Elite Level. As well as Qld Country are performing at the moment it’s a quantum leap from coaching in the National Rugby Championship (NRC) to being a coach in the Super Rugby Competition. You can only imagine the pressure that Thorn will be under next Season, fully aware that if the Qld Reds don’t perform his Career as a coach at the Elite Level may very well be short lived. I think you will find though, that no matter what. the QRU will persevere with Thorn if what has been reported is true in that the Australian Rugby Union are impressed with Thorn and that his coaching credentials have been rubber stamped. It does seem to have some credence, when you consider how Thorn has been seemingly fast-tracked through the system to become the Head Coach of a Super Rugby Team in a very short time. It can only be hoped that Thorn’s tenure as Coach of the Qld Reds will be long and successful and act as a pathway to one day possibly becoming the the Wallabies Head Coach. How ironic, if in the future the Wallabies coached by Brad Thorn were to play the All Blacks. Would Thorn be able to sing ‘Advance Australia Fair’ with the same pride and passion that he sung ‘God of Nations at thy feet’ and how would he feel watching the ‘All Blacks’ perform the ‘Haka’ before kick off? When you consider that as a boy Thorn’s dream was to play for the ‘All Blacks’ and to perform the ‘Haka’. What is the Relevence of Rugby Union in Australia? Watching rugby leagues gala event, the Dally M Awards, live from The Star in Sydney, tonight, one questions what is the future of a code that has been relegated to “boutique” status that rugby union now occupies. Queensland and New South wales are the only true “rugby” states in the Australian landscape with the Australian Football League (AFL) dominating the rest. I am reminded of a guy from Melbourne I was talking to in China, in 2011, and how he remarked that it was incredible to him that Australia did so well in rugby union when most of the country does not understand the game; at the time we were ranked No. 2 in the world behind the New Zealand (who went on to win their second World Cup later on that year). A stark contrast to our near neighbours, New Zealand, that absolutely worship the code from Auckland to Bluff. I remember visiting there in the late 1990s and being amused by the New Zealand Herald’s coverage of news being dominated by rugby union. Even the real estate pages making note of All Black legend Murray Mexted (1979~86) selling a property in Auckland. So often I scan the Courier Mail in the hope that there’s a least some mention of rugby union amongst the voluminous coverage of rugby league and more often then not there is not any. Mal Meninga (Kangaroos Coach) made a great speech praising the exploits of Dally Messenger, from which the awards are taken. Reiterating the fact that this rugby union great was instrumental in the creation of rugby league in this country over one hundred years ago. Built on mateship and looking after the guy who was injured on the weekend playing the game he loves without any recompense from his employer. Once rugby union became professional in October 1995, the relevance of rugby league would then come under question. However, this was not to be, the stranglehold of that code has on the eastern states of Queensland and New South Wales were to prove too strong. The fact that the State of Origin has such a powerful following in those two states, akin to the AFL grand final in the rest of the country, that to supplement it would be sacrilege. Growing up in a decidedly pro-rugby union family the code has always been my passion. To pull on my high school’s 1st XV jersey was an honour that I will cherish to the grave. The opportunities and friendships that it has created for me throughout the world bodes testament to a code that has relevance, just maybe not so much in my home country, Australia. Having played in Canada, USA, Japan, France and even China has opened my eyes to a sport that is truly an international game and growing stronger and broader every year. There is not an international bar in Asia worth its salt if rugby union games are not telecast, sadly that is not the case in Brisbane. I have driven to several pubs on a Friday night trying to find a venue showing the Super Rugby, despite the local Queensland Reds playing, to no avail. After what I described as our annus horribilis the code will surely resurrect itself and hold a prominent position on the Australian sporting landscape. If it takes billionaire, Andrew “Twiggy” Forrest, in Western Australia to inject the capital to garnish more interest in rugby with his IPRC than that is not a bad thing. There will surely be more pain before a silver lining, but the code will survive and hopefully come out better for the anguish that has been caused in 2017. What’s Happened to Rugby in Australia? In what could only be described as annus horribilis for rugby union in Australia, 2017 will be left to historians to rake over the coals of a year that no Australian Super Rugby franchise could defeat any New Zealand rival. And that is the benchmark of rugby union here, to beat those pesky Kiwis across the ditch. The Wallabies lost to Scotland in June and were under the pump against the Auzzurri of Italy a week later. Not to mention the drubbing by New Zealand in Sydney in the first Bledisloe clash with 50 minutes of scintillating rugby from the World Champions to go to an unassailable 56-6 lead. The debacle of the way the ARU drew out the axing of the Western Force franchise showed such disdain that rugby has all but been obliterated from the Australian sporting landscape in 2017. Leading up to the first Rugby World Cup in Asia, hosted by Japan in 2019, this competition could capitalise on the hype developing in the region. There would need to be marque players, the likes of former Reds flanker Liam Gill have been mentioned, to attract more attention and add to the interest in this competition. If successful, there could be a relegation system with Super Rugby franchises in the current Super 15 format. It could be a case of putting the cart ahead of the horse, but if such a competition could come off there is the potential for it to make a mark on the sporting landscape. Being able to financially compete with cashed up European and Japanese clubs could see the IPRC making a real identity for itself and it would of course seek endorsement from World Rugby. I, for one, am hoping such a visionary concept could come off. The promotion of rugby in the fastest growing economies of the world is the real key for an international product that has huge growth potential with the upcoming World Cup 2019 in Japan. Are the Japanese Serious About Improving Rugby?